andrewlucking.com » window or aisle? 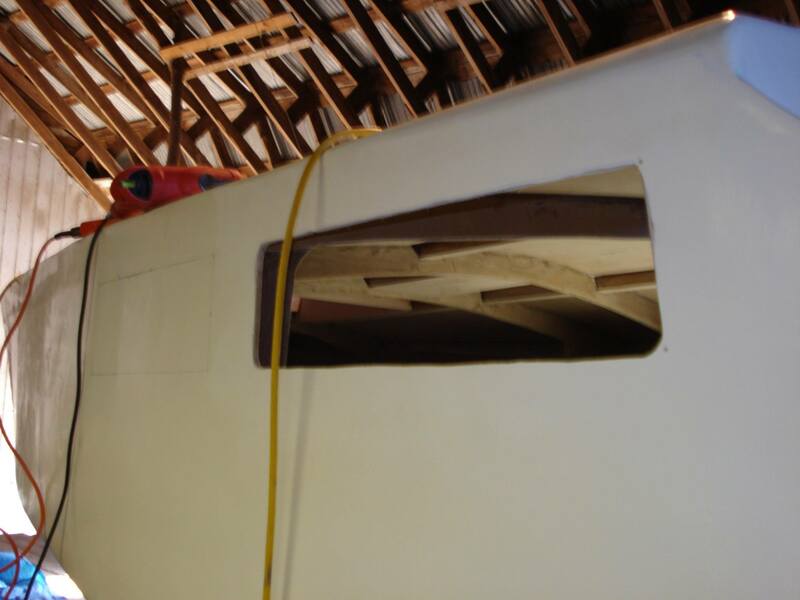 The cold weather is setting in and I’ve started looking for tasks on the boat that don’t need epoxy or paint to cure. A couple of weekends ago I cut holes for the windows. I’ve essentially closed up shop for the winter but with the crazy fluctuations in temperature we’re having this fall I’m hoping I’ll get in a bonus day or two. That’s a nice size window. Are there 2 on each side? Since you can’t do much work on loft babe, how about posting lots of pictures to show off the nice lines of the exterior? Yup, two openings per side. Depending upon how it looks I may mount the windows so they appear to be one. More photos? I’ll try to go through the rejects on my computer and see if there are any that are worth uploading. I did dump a few more in the ‘construction photos’ gallery yesterday. Hey Andrew… how’s the ‘ol lady of the loft coming along? As a matter of fact, I’m hoping to start the ‘08 building season this weekend. I can’t wait.